"Bears don't hibernate in the jungle!" "Not full hibernation, but I nap… a lot. Disney has unveiled a full-length trailer along with the full Super Bowl spot for Jon Favreau's The Jungle Book, which still looks better than expected. 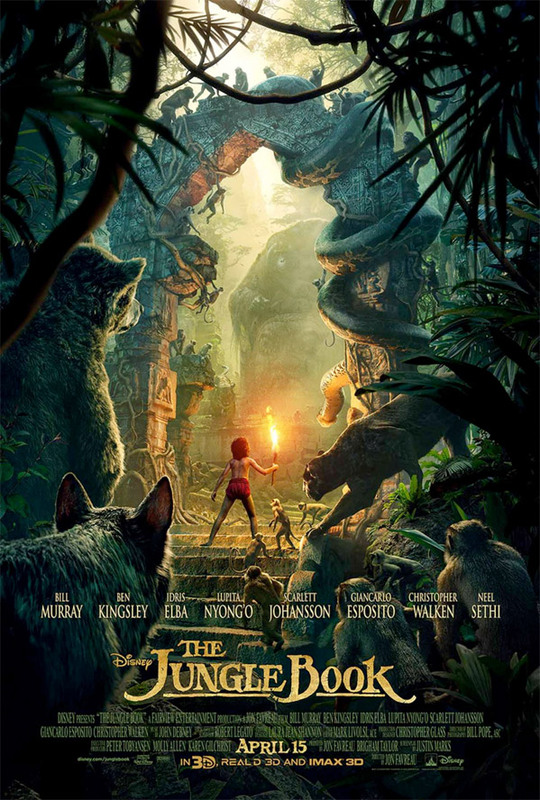 This live-action-CG-hybrid version of The Jungle Book stars Neel Sethi as Mowgli, the boy from the jungle. The voice cast includes Bill Murray as Baloo, Ben Kingsley as Bagheera, Idris Elba as Shere Khan, Scarlett Johansson as Kaa, also featuring Christopher Walken, Giancarlo Esposito, Lupita Nyong'o and Emjay Anthony. We finally get to see a real scene with Baloo in this, and he seems as lovable as always. The animals and VFX are looking better and better, can't wait to see this film. That made me emotional. I can't believe how perfect all the voices are. And that music! I'm not sure. Is it worse with or without voices?